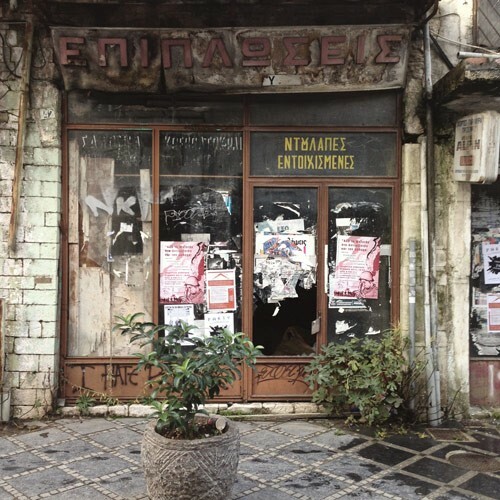 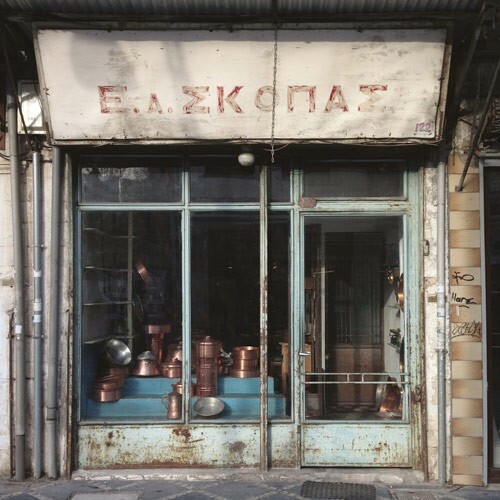 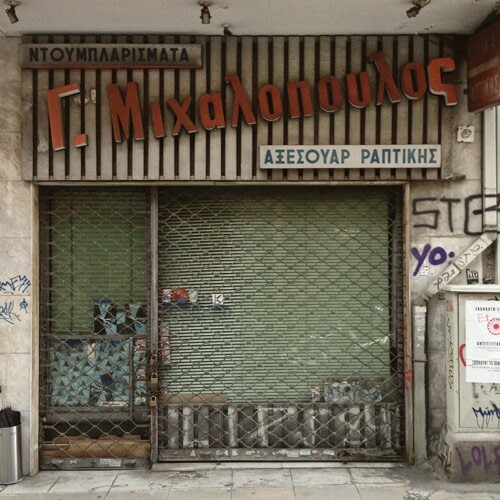 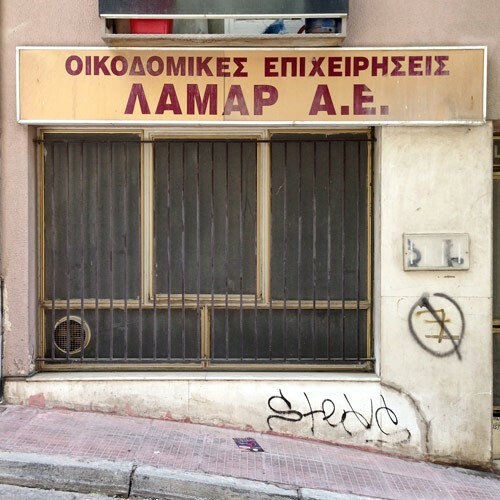 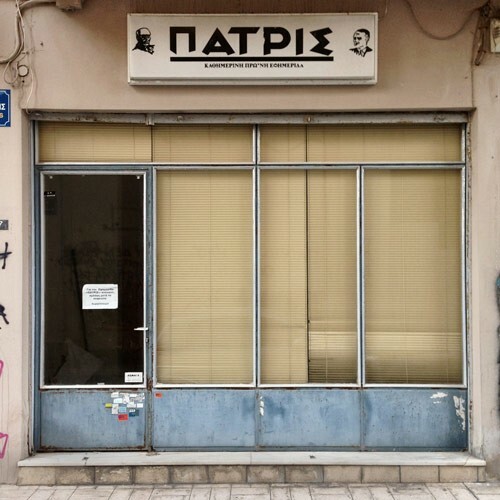 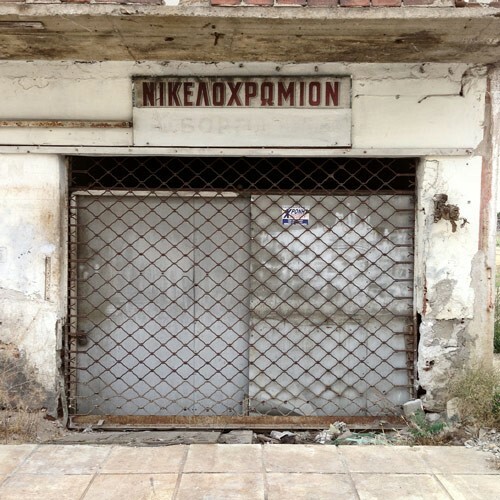 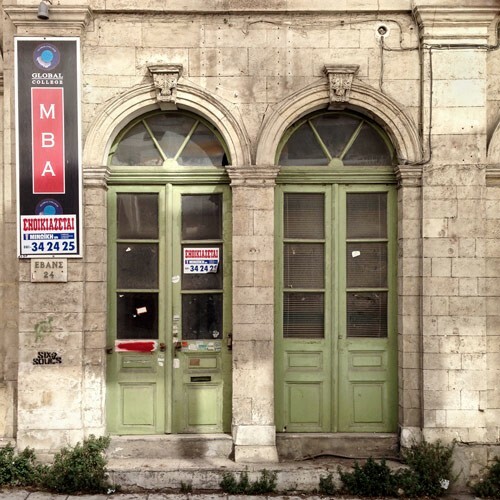 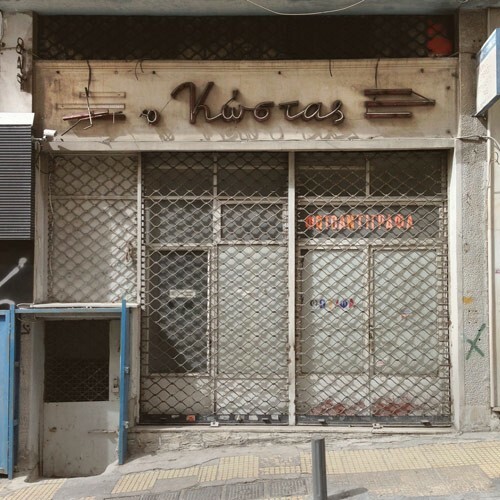 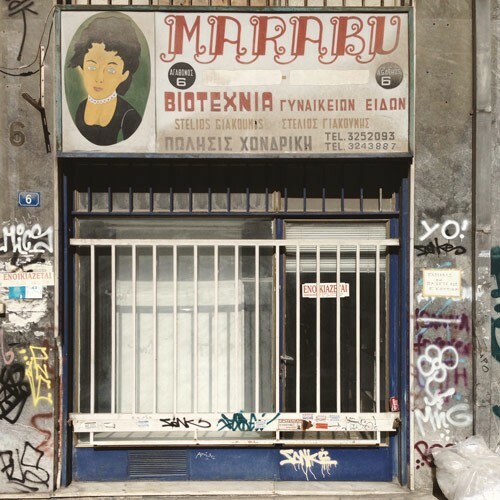 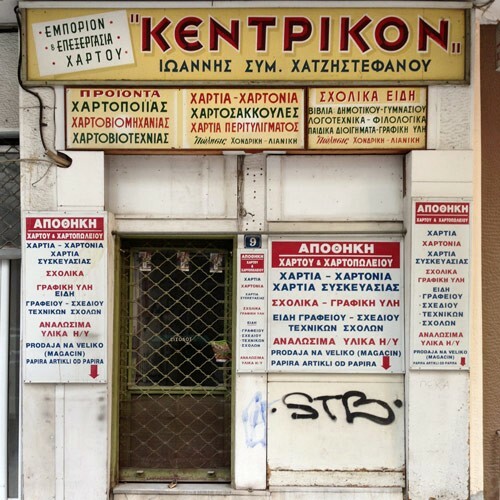 This series of photos by Georgios Makkas is made up by the facades of small businesses that, as a result of Greece entering its 6th year of recession, have been forced to close, with many more likely to follow. 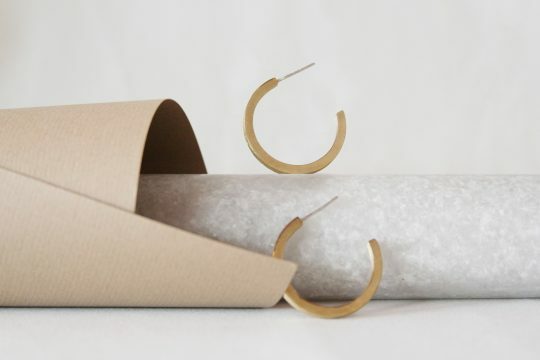 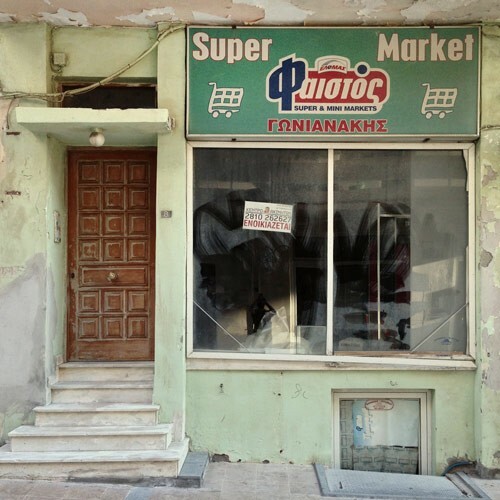 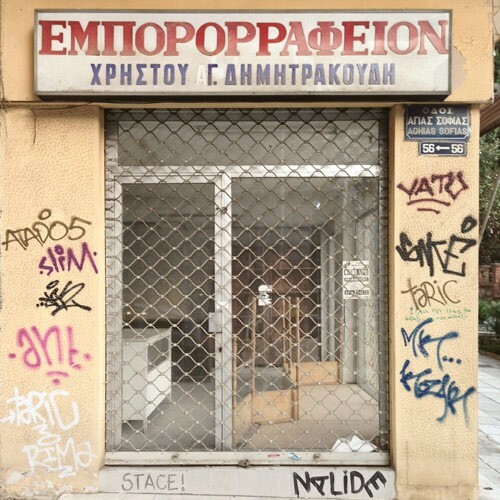 The Greek economy has shrunk by 25% in the last 5 years and this economic pressure is highly visible in many towns and cities, where up to half of all high street shops have closed. 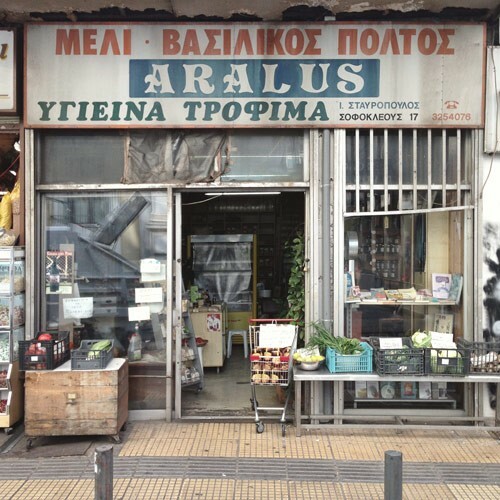 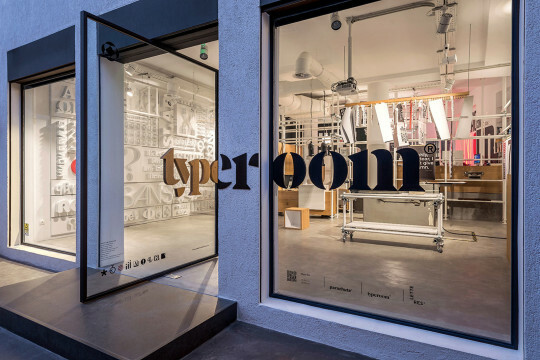 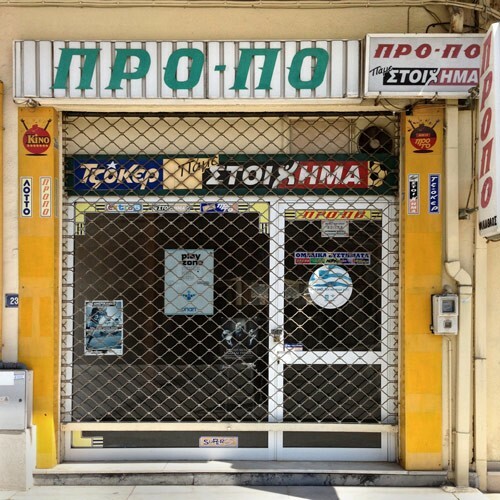 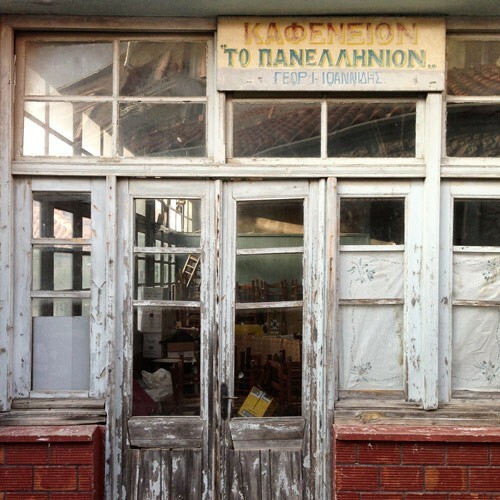 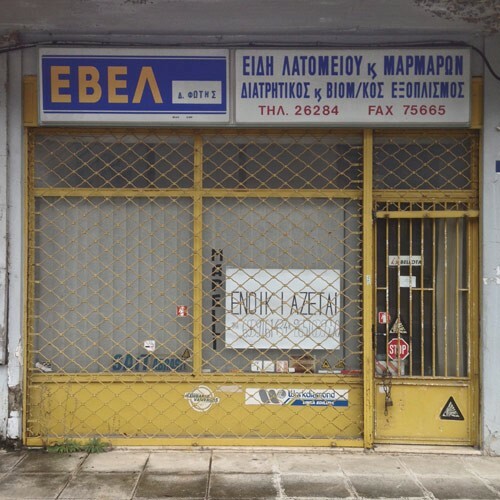 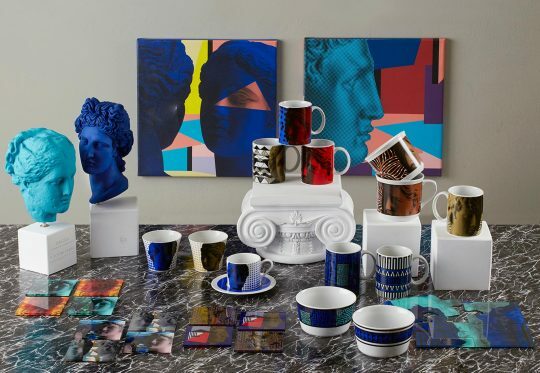 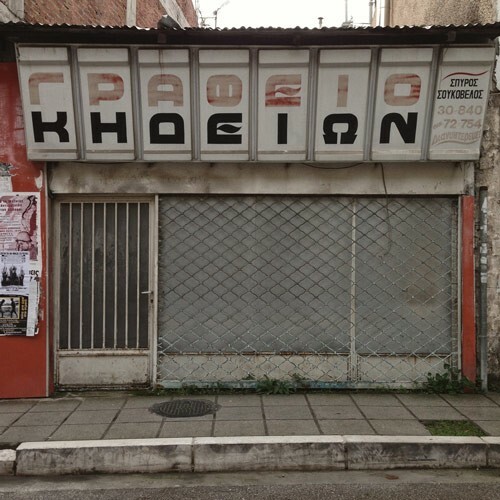 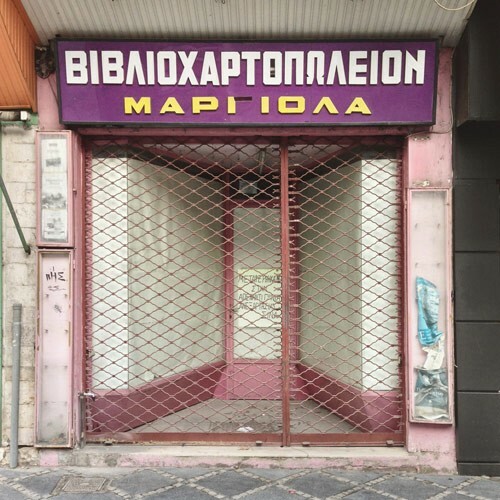 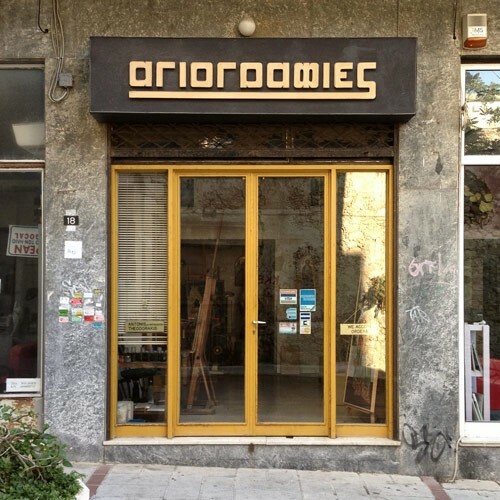 Many of these shops were run by generations of merchants and with their closure an element of post-war Greek society – the family run store – is dying. 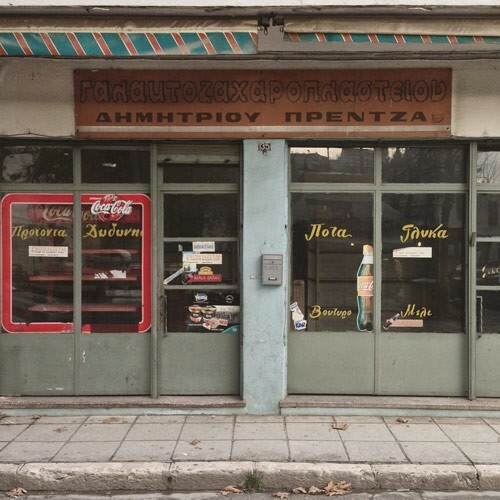 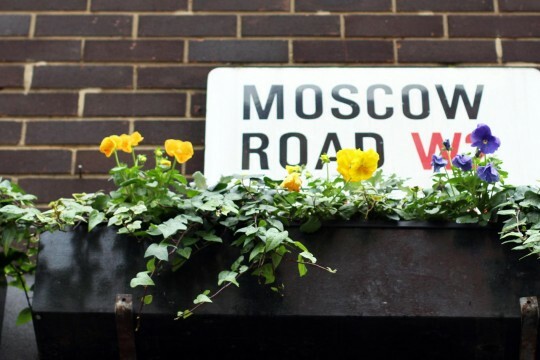 Some shops are being taken over by bars and restaurants but most are closing for good. 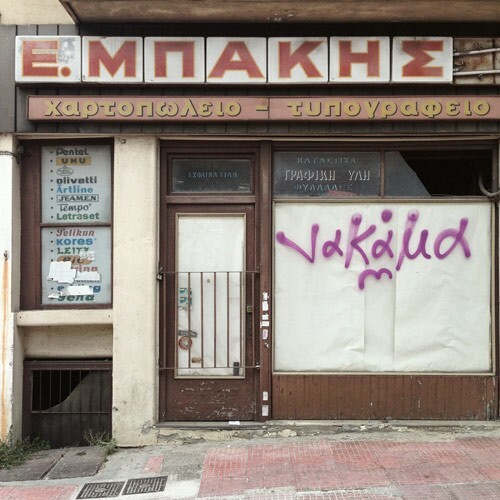 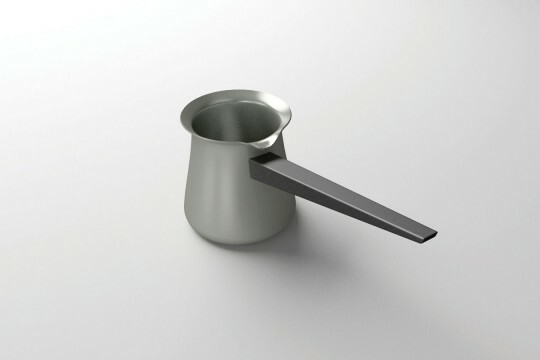 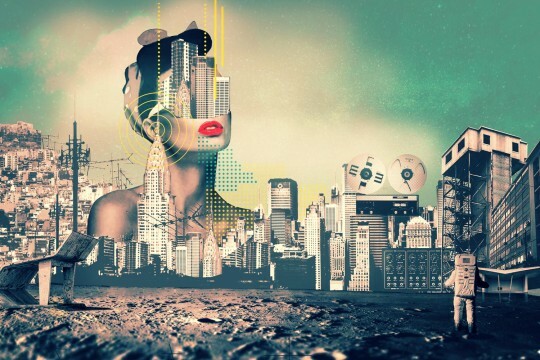 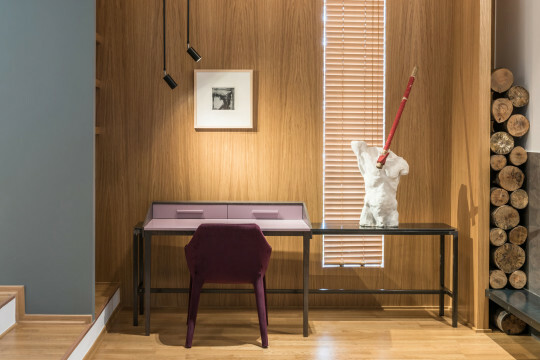 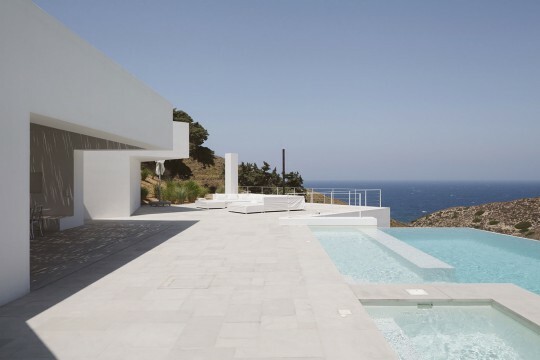 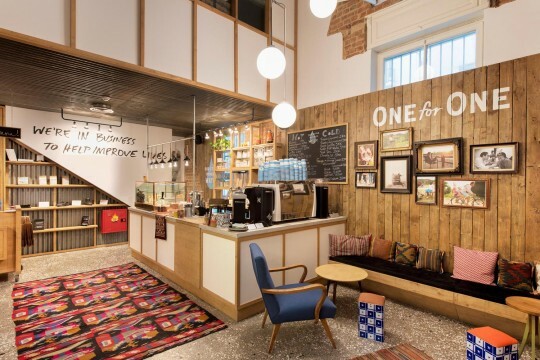 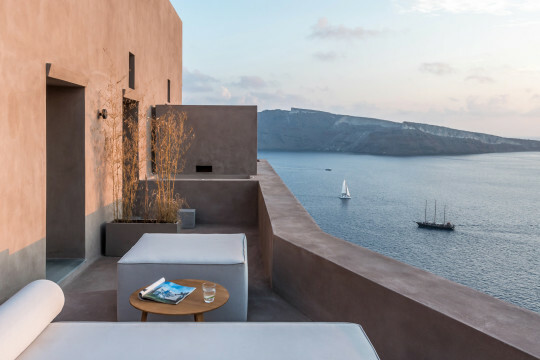 The Greek cityscape is changing for good.